A few years ago, I received a strange invitation to a barbeque high up in the Aitana Mountains on the Costa Blanca. The man on the other end of the telephone asked me to bring samples of my work, that was it. When I arrived through the high security gates, a little angst with anticipation, eight people were stood around a large grill, quaffing beers. On the grill stood pots of wax mixed with colour pigment, a table adjacent had rows of different sized candles, various pallet knives, and a box of sponges. Turns out he wanted to know if it was possible to create art on a candle using wax and had invited local artists from different nationalities. 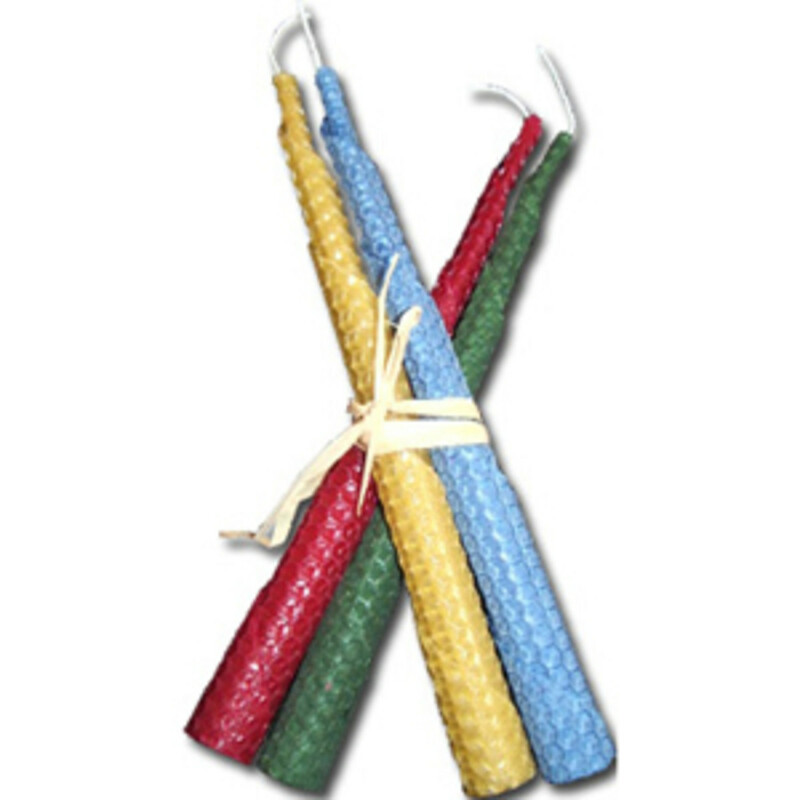 The best four would be invited to create (Mass produce) candles for a price. That was the first time I had ever heard of Encaustic painting, and even though the dodgy fella turned out to be a scammer, the experience was worth it. Anything can be achieved with wax and the willingness to fail, a little at first. 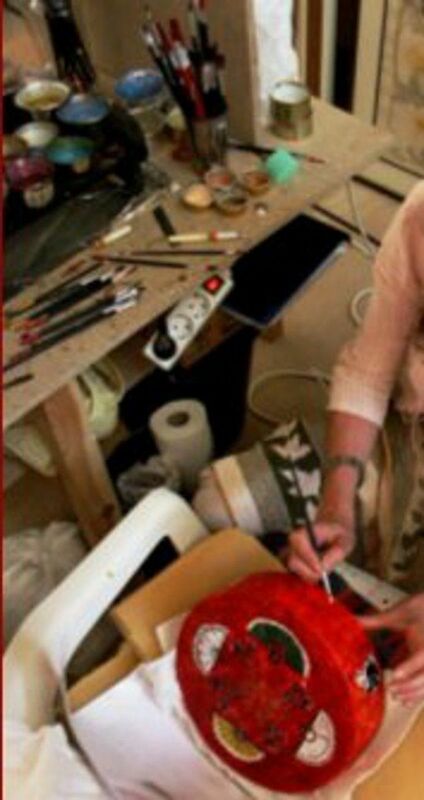 Encaustic painting involves using heated beeswax, paraffin, soy, and other plant waxes to which coloured pigments are added. The liquid/paste is applied to a surface, usually wood or canvas, but other materials can be used. 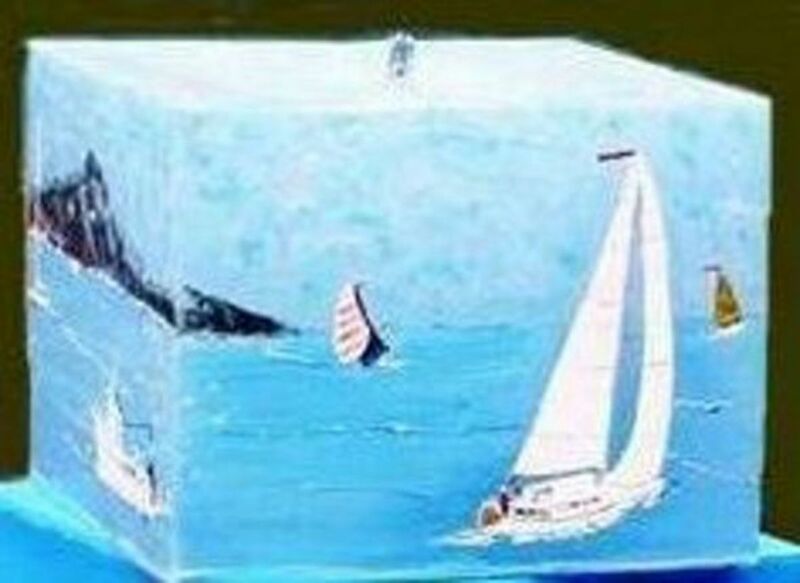 Encaustic was developed by ancient Greek ship builders, adding pigments to hot wax they used to repair their ships hulls. Some of the earliest examples of encaustic art are those of paintings attached to mummies in Ancient Egypt, about 3,000 years ago. 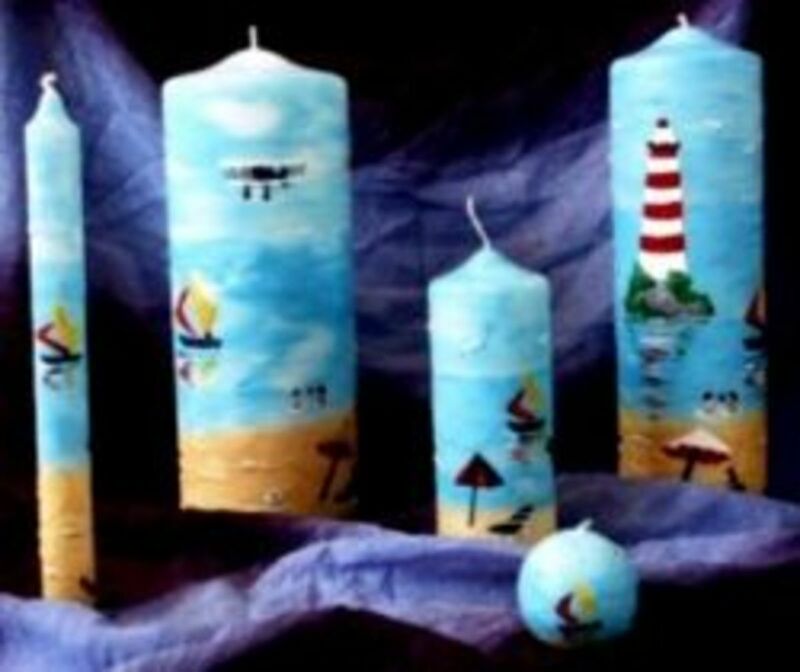 I have been applying wax to candles, especially to hurricane candles that burn through leaving the outside intact, the effect is superb. 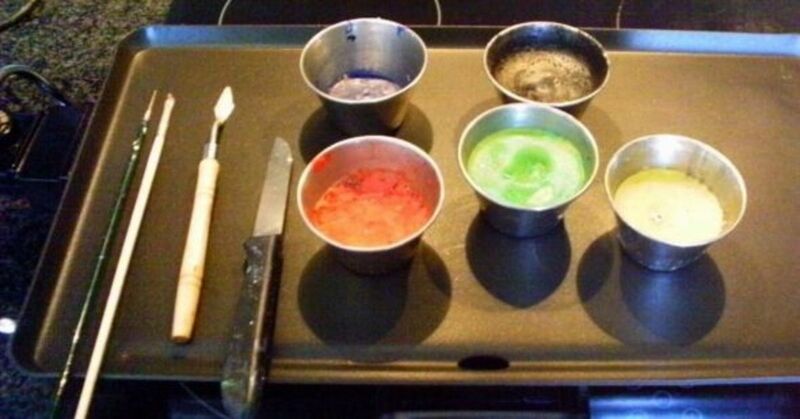 The technique of mixing wax and pigment for candles is simple. Use a temperature controllable hot plate. 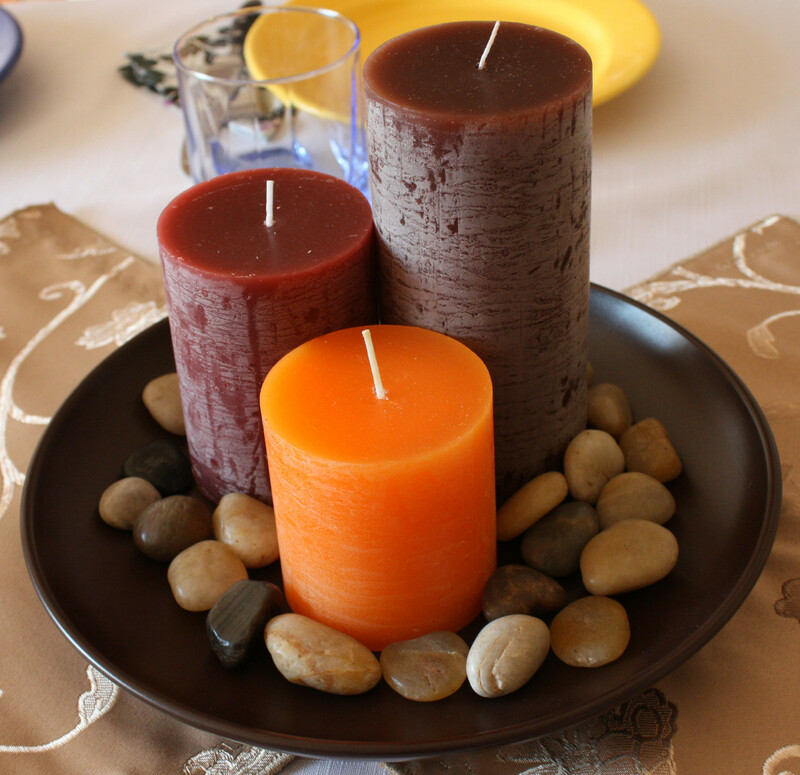 Crumble a cheap plain candle into a stainless or metal shot size pot or muffin tins and add powder pigment with a teaspoon. Knowing the characteristics of your pigments, whether they're transparent or opaque will influence how much pigment you use. Don't use too much pigment if there's not sufficient wax to stick it down, the wax will flake -- practice will gets the best consistency ratio. Griddles for melting the wax and keeping it hot. 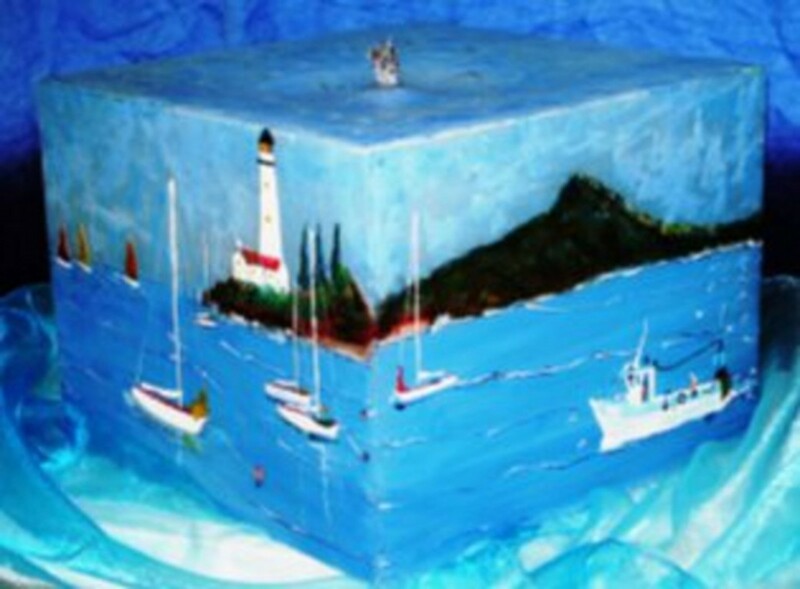 Sponge, pallet knife, an old thin paint brush, and for detailed work a bristle-less thin paint brush with a metal end. Start sponging backgrounds like skies and seas, form boats and sailing ships, dipping a pallet knife into the hot wax, moving it along letting the wax slip off. 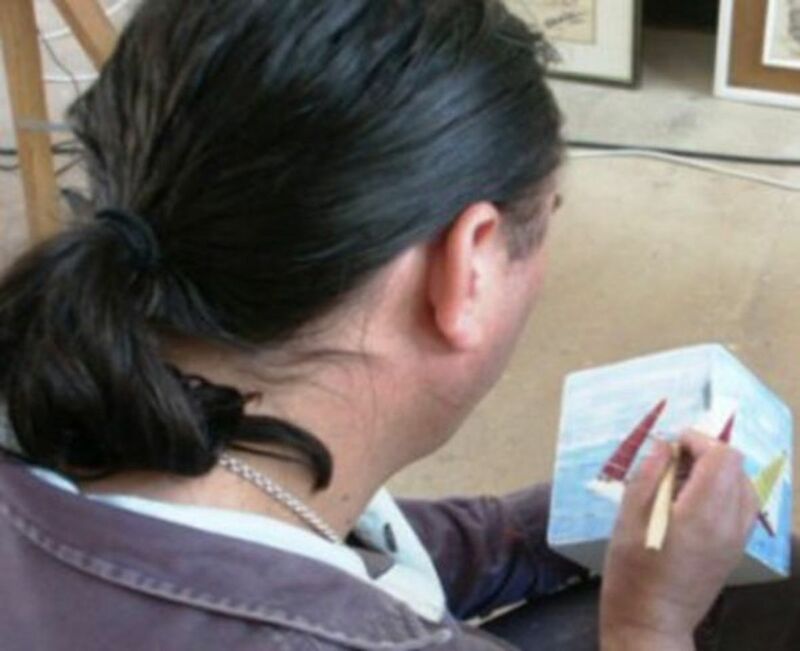 With practice you can judge the speed needed to apply thick or thin lines and pallet knife larger areas in. Almost drizzle the wax, at the same time spreading it. If you go over, even on a wax back ground you can trim back with a knife and repair mistakes. 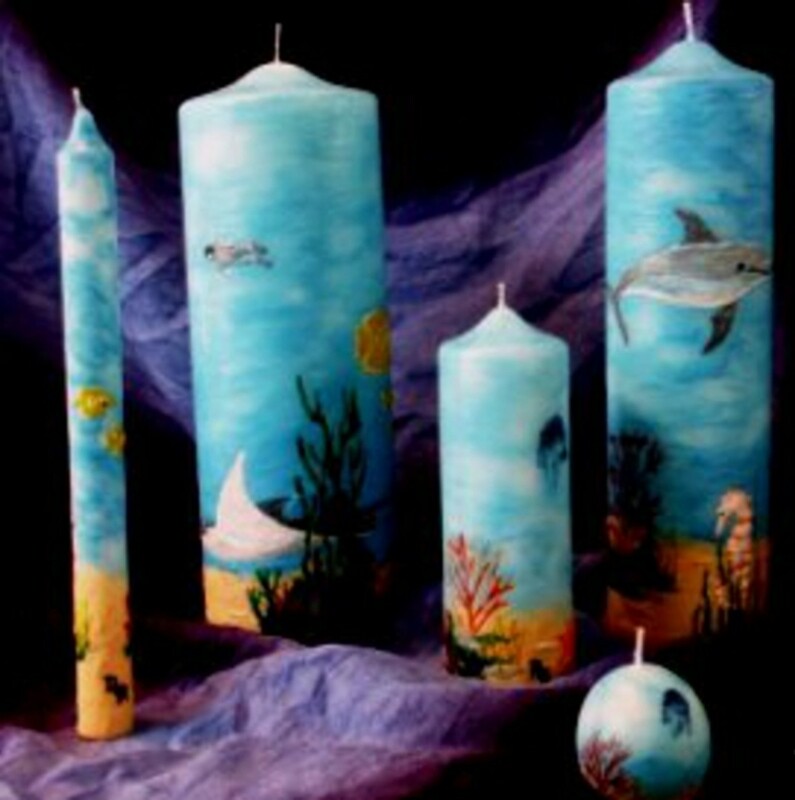 Paint layer after layer to raise a surface for a motif and also paint the side of hurricane candles for more complex work as the exterior stays intact, you can place a tea light candle inside and keep reusing. Pallet knife and a strong knife for carving, reducing, shaping and cleaning. My preferred tool, a Pallet knife heated on the hot plate reactivates the wax. 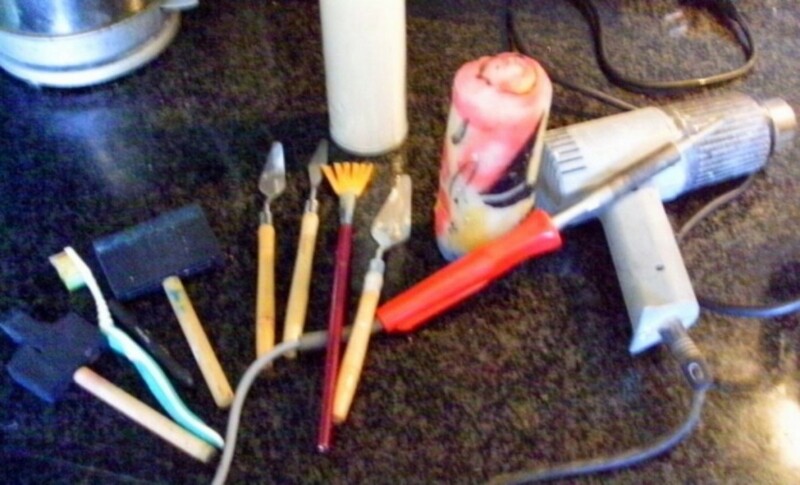 Various tools: Sponges, practice candles, a solder gun for detail work -- if you prefer and when working with candles I use the heat gun to heat the wax in the muffin tins to speed up the melting process. 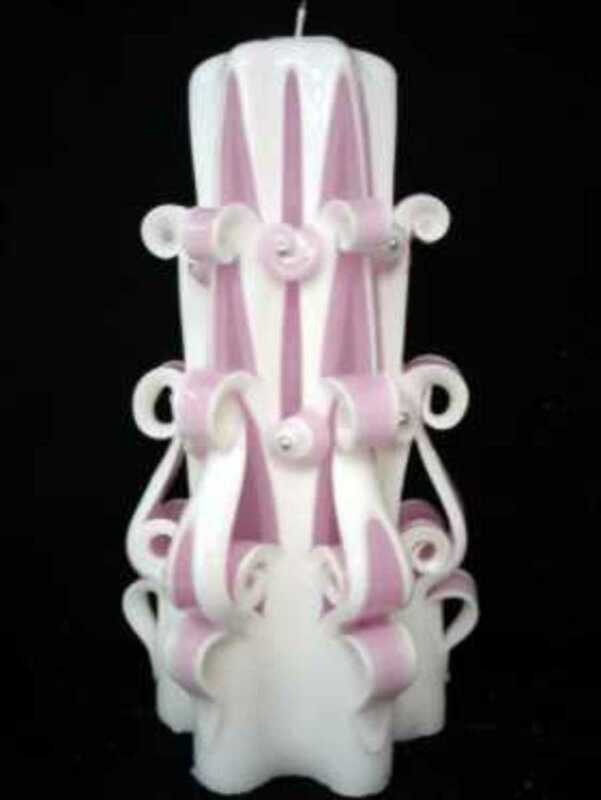 Another side of the large Hurricane candle. Apart from the obvious, breathing in the fumes, heat from the wax, and the hot plate, the other thing is to not over heat the wax and don't dip a pallet knife, brush or anything into a colour that is loaded with a different colour. Dipping your tools into the right colour then wipe it, will clean it. 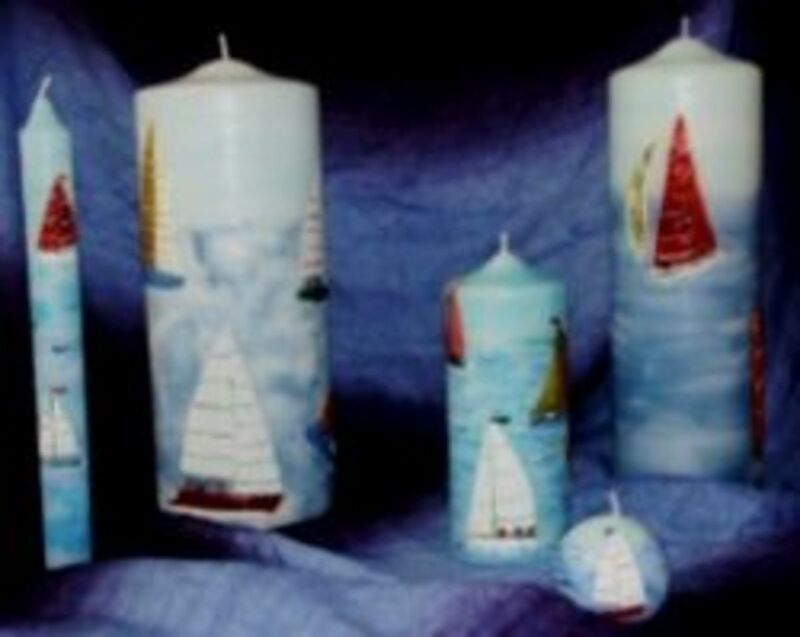 Practice on cheap candles as you can scrap them clean for another try until you get a feel for it. Once you have and got it down. The next step is to buy a large expensive candle. I don't think it's necessary to purchase Carnauba wax or Beeswax. Using cheap clear candles crumble and melt, add powder pigments (from any art shop) or Oil paints and add Damar resin is enough. Damar resin is mixed with beeswax to harden it and raise its melting temperature. It also keeps the wax translucent preventing blooming (whitening). It can be polished to a glossy shine. Wax melts at 150 degrees F-- 65 degrees C.
I've seen people take days to get it and some look like they had been doing it years, which one are you? 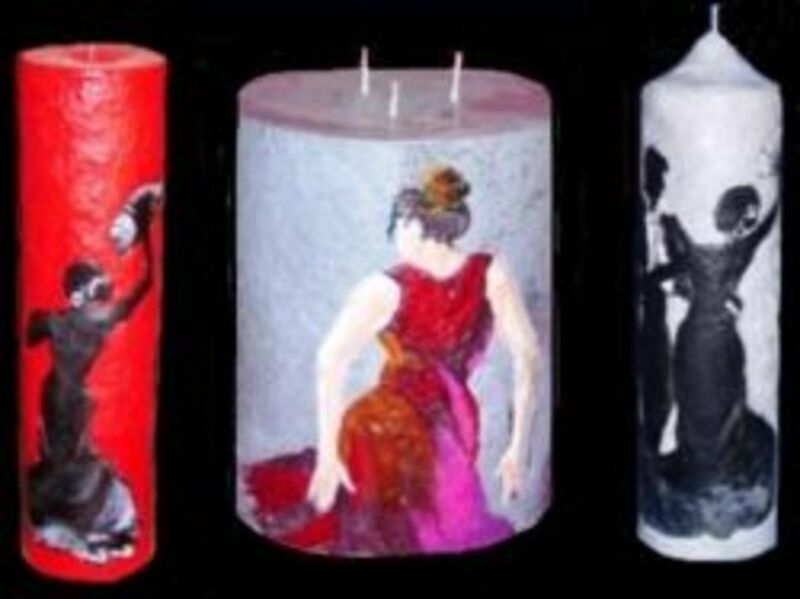 What did you think about encaustic on candles? @rosa-rodriguez22: Hi, just add a small % to your wax before the pigment. You can use the wax without it just doesn't harden as much. How can I use resin damar? 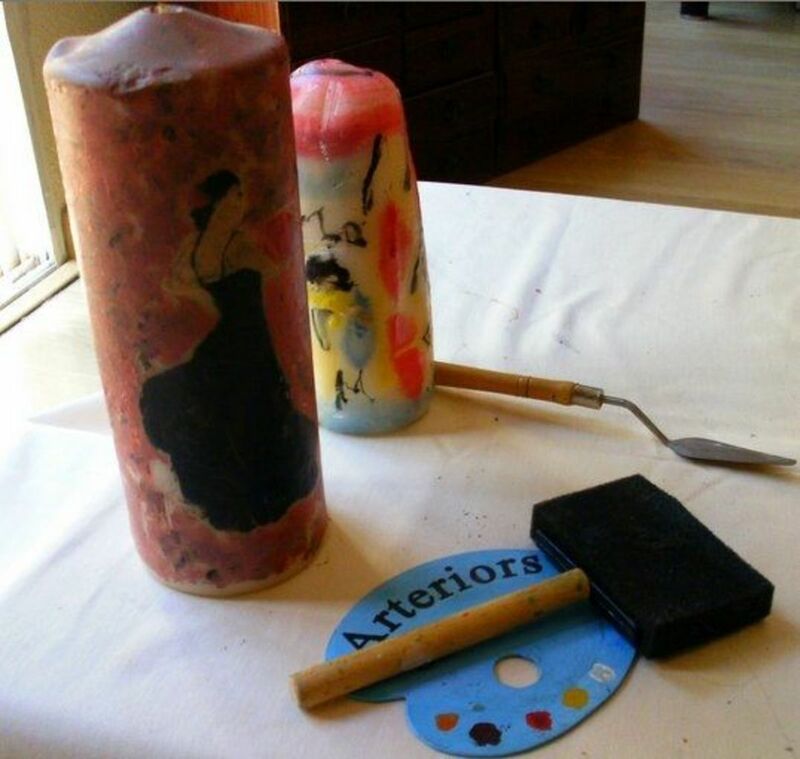 @rosa-rodriguez22: Hi, Art shops sell colour pigments or to start with buy a cheap candle and melt down and mix in oil colour or pigment powder and then practice. @rosa-rodriguez22: Thank you very much. What do I need to buy to start making the candle.? Can you transfer from paper to a candle? This is something that I would really love to try. I have some beautiful encaustic art trading cards that I adore as I've admired the art form for quite a while. I'm in awe. I've never heard of this art form before... excellent topic. Very interesting. I wonder if I can get one made for my company? Wow, really love this lens. Great job! You're very talented! Thanks for explaining how this is done. 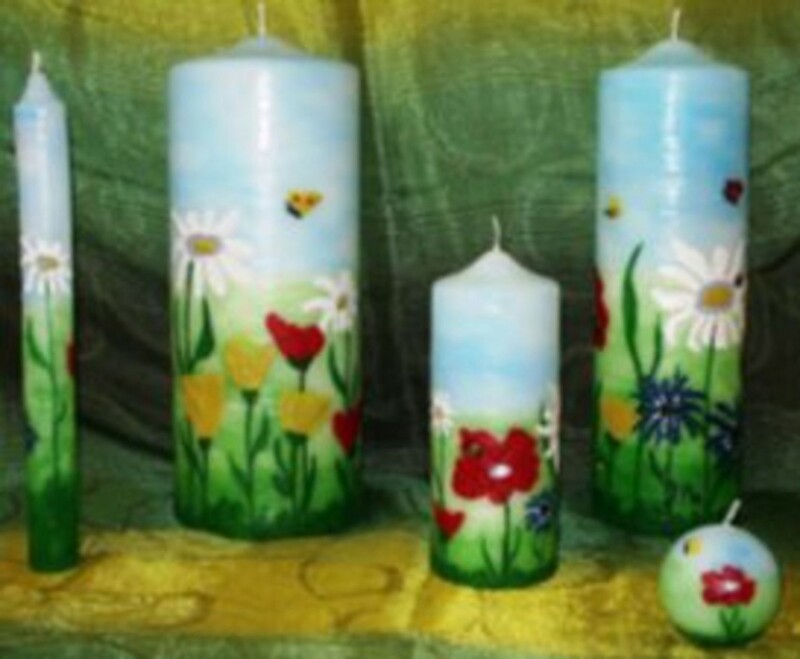 I've seen candles with different colored waxes applied rather heavily to them... but not artwork like this. Very cool. @MargaritasWorld: Hi MargaritasWorld, what a great idea I never thought to try so next time I have the wax out I'll let you know, thanks! 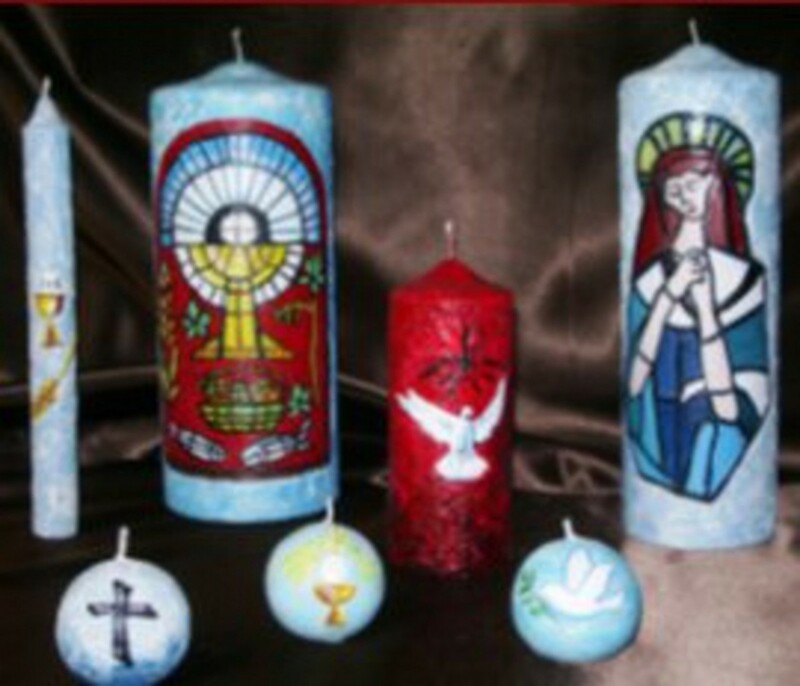 Your art would look cool on candles. @LornsA178: Thank you and for the blessing. @MBurgess: Hi, RiaB thanks for stopping by and for the squid like. @BarbRad: Thank you very much for visiting. Fascinating! I'm afraid I can't even paint on paper. I'm just not a painter. But I have a lot of friends who are. One of them is an encaustic painter and I watched her demonstrate one night. @anonymous: Thank you NinaLouder and for stopping by. So nice. I like it. Great lens. @SusansZooCrew: Hi, thanks for the feed back and a great idea I certainly will add some more steps showing what you suggested in the next week, so once again thanks. @anonymous: Thank you for the visit I'm glad you enjoyed the lens. Looks pretty cool! Would love to see some more details-like what brand of pigment do you use? Or some examples of what a line put down with a pallet knife looks like versus a line with a brushless brush versus a sponge. And ooooo a step by step series of pics of a painting in progress? Great lens! Amazing to think you can be that creative on a candle. Love it! Quite an interesting lens, bookmarked! 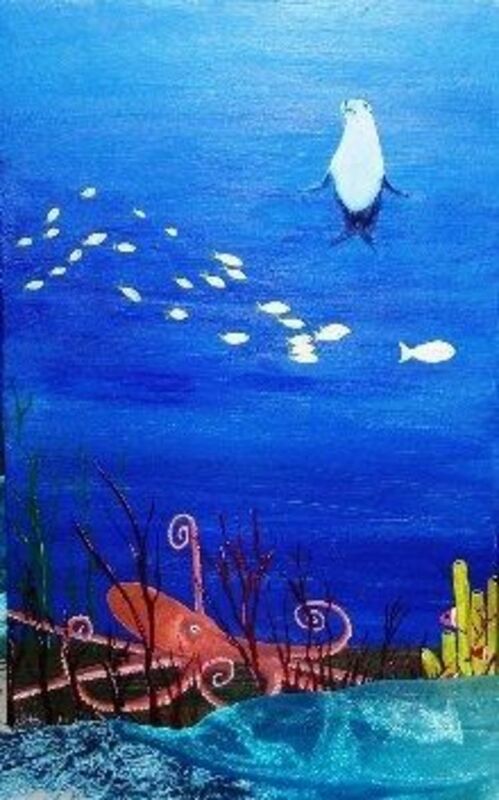 @LiteraryMind: Thank you and for the squid-like. Very interesting. A new and pretty craft. @ceejaycmarshall: Thank you for visiting my lens and for the compliment. Amazing pictures and great lens! @anonymous: Hi ebizzle and thanks for visiting. I wish I was artsy enough to do this! Wonderful candle and Lens. They are very good. @SimplyTonjia: Thank you for visiting. Great article. This looks like great fun. Thank you for sharing. @CameronPoe: Hi, CameronPoe and thank you! This is a great art form. I see them during Day of the Dead festivals here in California. @Northwestphotos: Hi, nice to meet you and thank you for your kind words. Wow...what a fascinating lens! I learned something new today! That's pretty incredible art! @Close2Art LM: Thank you and for the blessing. @randomthings lm: My pleasure and thank you for the kind words. @anonymous: Thank you for visiting. This looks like great fun to try. These are amazing. I have never seen anything like this. very beautiful works of art. Thanks for sharing! @anonymous: Thank you for taking the time. 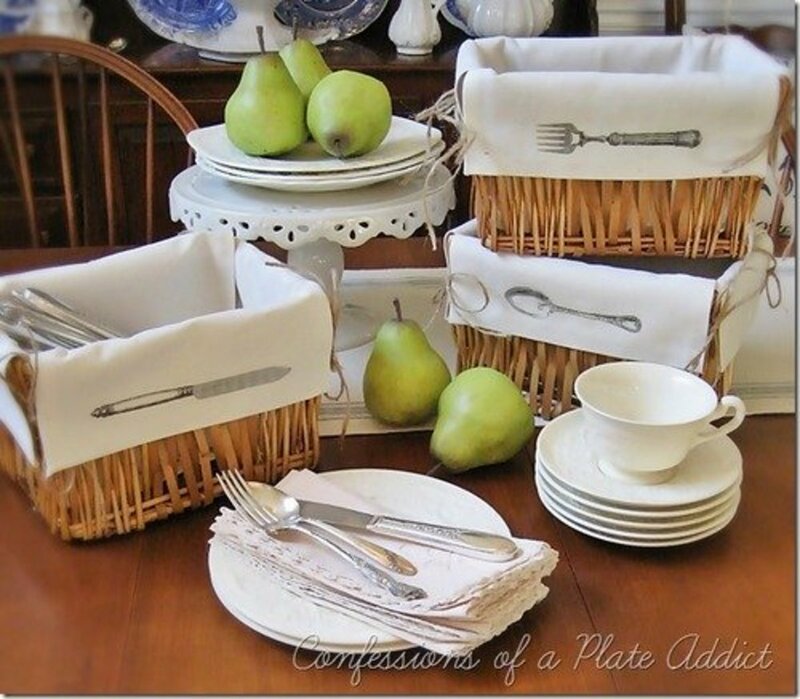 These are lovely works of art! I'll have to try this sometime. Great information! @Rangoon House: Thank you and for the blessing. Thank you for a wonderfully instructive lens. Blessings. @tvyps: Wow thanks very much! 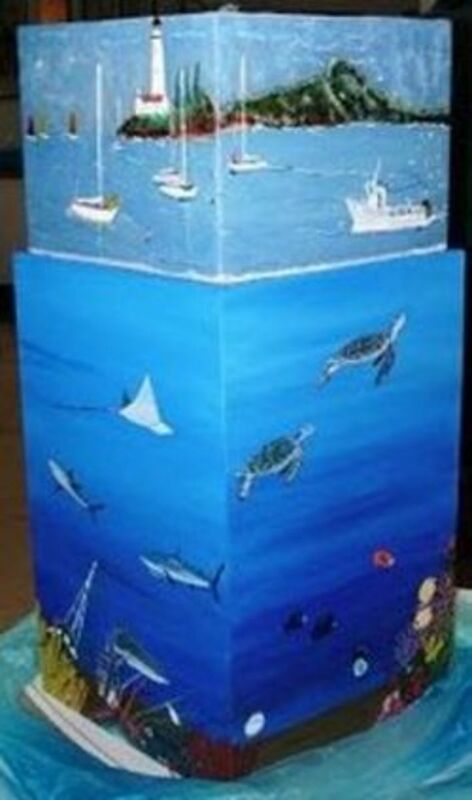 Great stuff, you are a very artistic steeple-chaser! Blessed by a Squid Angel. @piarejuden: Thank you and for letting me know I have been chosen. @MarcellaCarlton: Thank you, much appreciated. this is pretty awesome!! Great info... congrats on being chosen by bonnie! cheers! and ivory detergent. No painting was involved though. I love your lens! @Anna2of5: Thank you. now that you mentioned pancakes I'm going to look for a recipe on here American recipe our English pancakes are more like sweet CrÃªpes. The Flamenco dancer one is very pretty. With the pink and red of her dress. It looks like a classic painting on a candle. Nice! Neat Lens. I especially liked all the photos. The ones of your studio are cool. i have a griddle but they electric connection is starting to go, it makes this sortof sizzling noise. 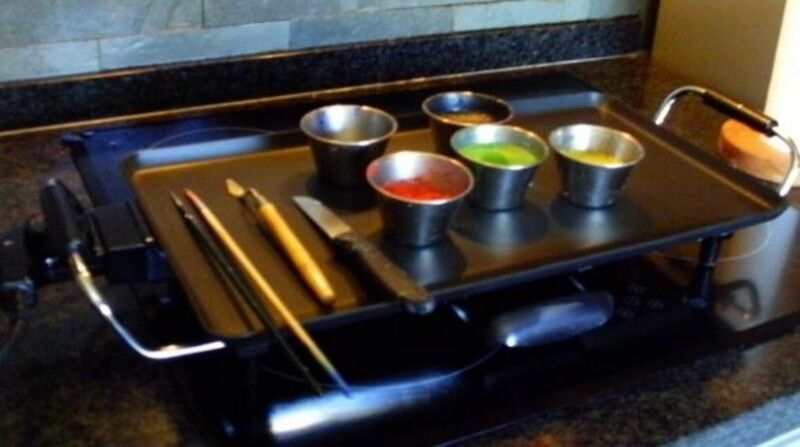 I use my griddle for pancakes and french toast ( I can fit 8 at a time :) Very handy for feeding my teenagers :). I like the cloudwork and your use of the color red, It just pops! Keep writing, you definately have things to talk about. Good lens. @Mystico: Hi Mystico, thank you for your kind words. What is the name of your Novel? @Michey LM: My pleasure, thank you for saying so. @Deadicated LM: Thanks! I would liked to have seen that. @anonymous: Iâve seen artist create realistic portraits with wax. Thanks for your kind words. @Gypzeerose: Thank you so much. @Reginald Reid: Especially a dancer on a hurricane candle as it burns down throw the middle effect is great. Thanks for reading. I would love a hiphop themed candle. Back to check on this again - when I was here before the pictures were not downloading. I have never seen anything like this, I am hecka impressed. Angel Blessed. Very interesting, and it looks easy the way you explain. 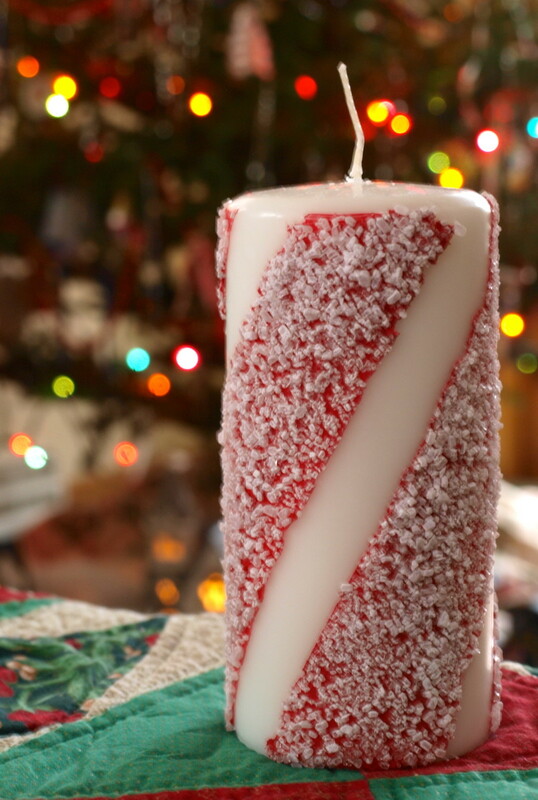 I like the candles decorated this way. Thanks you this is great start in Squidoo world. @Gypzeerose: Thanks, I'm working on a few other lenses with wax so I hope you will find them interesting, we'll see. Never knew this existed, very interesting. Welcome to Squidoo. Pinned to my lens: Arts and Crafts I love. 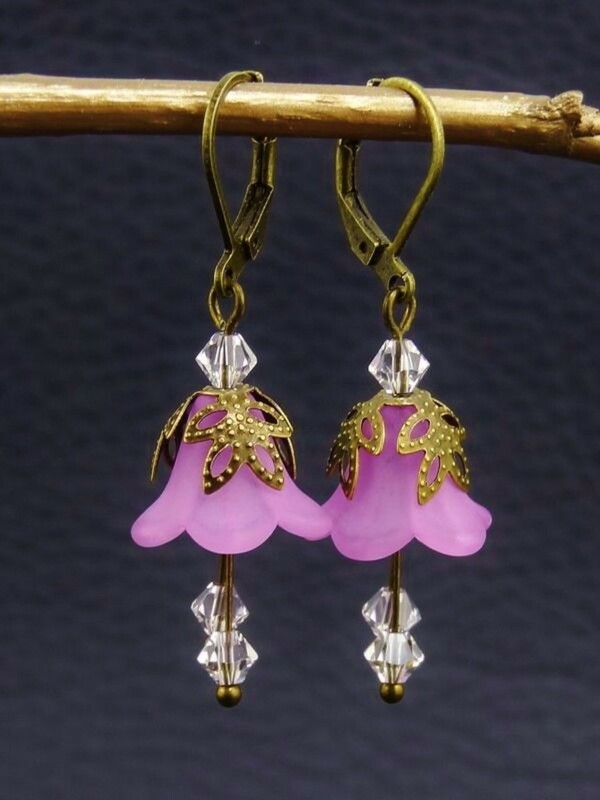 @JaneNew: Thank you I'm glad you liked them.